LAHORE, Sept 20 (APP): Federal Minister of Inter Provincial Coordination, Riaz Peerzada has said the Prime Minister, who is also the Patron in Chief of the Pakistan Hockey Federation, had sanctioned a grant of Rs 200 million to the PHF for the uplift of the national game. “Government is taking keen interest in the revival and uplift of the hockey and Prime Minister is taking special interest in this regard,” he said while speaking as chief guest at the prize distribution ceremony of the Pak-Oman U18 hockey teams series here on Tuesday at national hockey stadium. Also present were President, PHF, Brig. (retd) Khalid Sajjad Khokhar and Secretary, Shahbaz Ahmad. He said the funds would be transferred to PHF kitty in few days time. “Government is paying attention on the development of sports and it is also endeavoring that foreign teams should also visit Pakistan in near future,” the Minister said. He said due to the ongoing Military operation against terrorists, the security situation is improving with each passing day. “The situation is becoming conducive to hold international sports events in Pakistan and we are confident that more foreign teams will be visiting Pakistan in due course of time,” he added. The Minister said the visit of the Oman Junior hockey team will inspire the other international hockey teams to visit Pakistan as best possible security was provided to the visiting team. He said under a direction of the Prime Minister, letters have been written to all the Provinces to organise sports events at grass root level besides organizing sports festival for traditional sports at village level. The Federal Minister recalled Pakistan’s glorious past in traditional sports including Kabaddi, volleyball and wrestling and said due to terrorists attacks such activities could not take place in recent past and Pakistan failed to win medals in respective sports at international level. 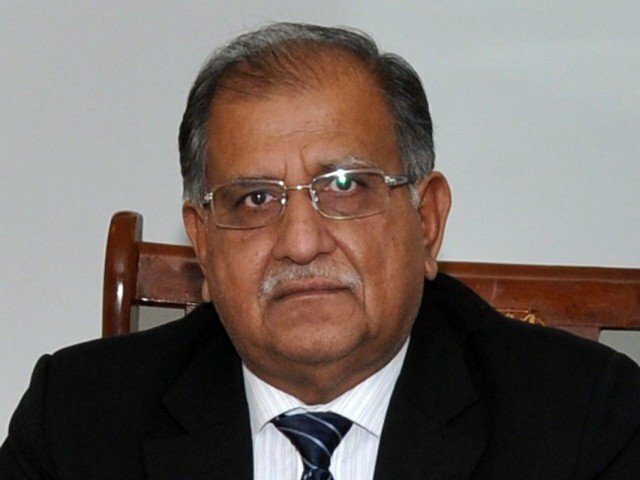 “Due to lack of sports activities we cannot progress in games and it is very imperative to organise sports events on regular basis to develop a sports culture in the society,” said Riaz Pirzada. He said due to the efforts of the present government youth is taking interest in sports and a lot of sports activities are being organised across the country. The Federal Minister expressed his optimism that with the continuation of devoted efforts Pakistan will achieve lost glory in sports and government is committed to this cause. “Pakistan test cricket team has become number one team in world due to hard work and commitment on part of players and team management and what is important is the continuation of such efforts to show consistency,” said the Federal Minister.